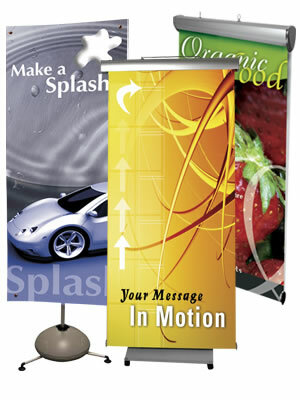 A banner is a flag or other piece of cloth bearing a symbol, logo, slogan or other message. 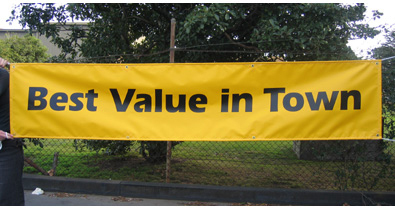 Banner-making is an ancient craft. Church banners commonly portray the saint to whom the church is dedicated. The word derives from late Latin bandum, a cloth out of which a flag is made (Latin: banderia, Italian: bandiera, Portuguese: bandeira, Spanish: bandera). The German language developed the word to mean an official edict or proclamation and since such written orders often prohibited some form of human activity, bandum assumed the meaning of a ban, control, interdict or excommunication. Banns has the same origin meaning an official proclamation, andabandon means to change loyalty or disobey orders, semantically "to leave the cloth or flag". 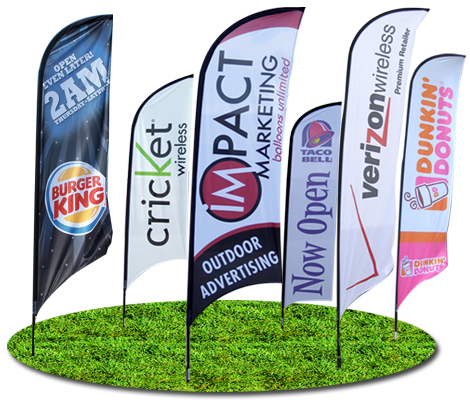 Signage is any kind of visual graphics created to display information to a particular audience. This is typically manifested in the form of wayfinding information in places such as streets or inside/outside of buildings.